Although results season is over, we are still all about education here. Particularly education to do with wine. South London Wine School offer single evening introductory tastings for those who just want to dip their toes in the wine pool to fully certified wine courses. They are dedicated to educating you in a fun and informative manner, keeping it relaxed and non-pretentious. They also run private and corporate events at your home, office or other venue. If you still aren’t convinced, your South London Club card gets you a complimentary bottle of wine with every two tickets purchased. If you want to sip your wine of choice in a cosy setting including vaults, crevices and fantastic wines then head to The Mug House in London Bridge. Step underneath the arches at London Bridge into a candle-lit setting with two fully stocked bars. All wine is sourced individually and deliveries change each week, so they always have something new to offer. If you prefer to sip your wine with a meal or the Mug House’s extensive cheese selection, you can grab 10% off food at The Mug House with your South London Club card. A wine cornucopia, Glug Wines is a must-see destination for all wine lovers. Located in Putney, they offer wine tasting facilities, a bar and a shop. The main selling point for Glug Wines is their exceptional range of quality wines, you won’t struggle to find one you love! We can also guarantee that all of the team are just as passionate about wine as you are, so you can get great advice and know your wine is expertly sourced. If you have some of those friends who prefer beer to wine and feel cheated by your choice of drinking establishment, they also offer craft beers and you can get 5% off both wines and beers with your South London Club card. But we’re sure they’ll be converted to wine by the end of the night! Wine, cheese and charcuterie...sounds like a dream, doesn’t it? Well, it exists and it’s waiting for you in Streatham. 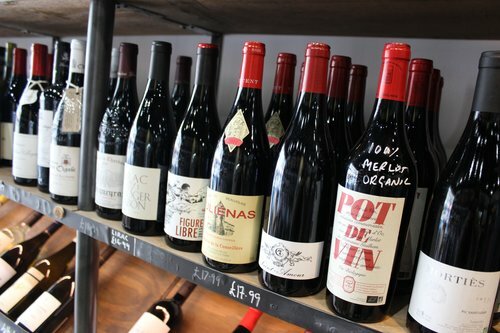 The owners of Streatham Wine House have travelled all over the world in an orange camper van to source the best wines from all around the world and serve it up in a cosy interior. 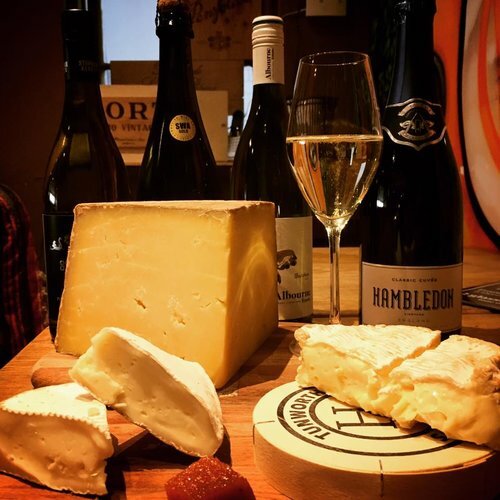 Step into a world of fantastic wines and maybe even try their cheese and wine masterclasses, if that’s your thing. Which, let’s face it, should be. Plus, you can drain your wine glass and not your wallet, courtesy of your South London Club card as you can grab 10% off (excluding takeaway). Davy’s Wine Vaults is a historic wine bar with almost 150 years of experience in serving wine to South Londoners. Not only does it offer a vintage, charming interior and a shrine of wine-related artefacts, it also doesn’t serve bad wine either. Okay we’re kidding, the wine is better than that. Head down there and try out their impressive range of delicious wines for yourself, whether it is a casual drink with friends, a wine-tasting courses or Brunch on the weekends. Whatever way you like to enjoy your wine, Davy’s have got it covered. They also have a wide range of light bites and meals on offer so your 10% off food with your South London Club card means complementing your chosen beverage is made even easier!